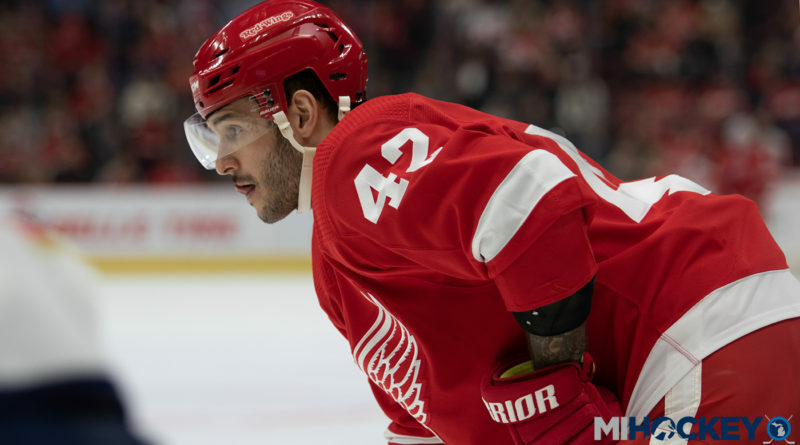 The Detroit Red Wings placed forward Martin Frk on waivers Wednesday. Frk, 25, has primarily skated in a fourth-line role for Detroit this season and has posted one goal (a power-play marker) and five points in 25 games. He has averaged 8:24 of ice time per game, with 1:08 of it on the power play. The Czech forward has played 95 career games, all but two with Detroit, and has scored 12 goals and 30 points. Frk was originally chosen by Detroit as the 49th selection in the 2012 NHL Entry Draft and is currently set to become a restricted free agent at the end of the season. Should he clear waivers, he will be eligible to be sent down to Grand Rapids.